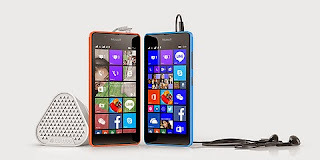 Microsoft lumia 540 dual-sim : is this the answer to Yuphoria ? Microsoft amped up their game at build 2015 this year introducing Windows 10 : a universal platform to rule all. Well Introduction to hololens was a bouce, simply awesome ! At the company's recent keynote they addressed and refurbished many flaws that were in previous builds of Windows via windows insider program for both PC's and Smartphone's. They even showed off the new Visual Code Studio software for Windows which is now supported on Mac and Linux for the first time ! and the new, so called " Porting " apps thing was the show stopper, because porting Android apps and iOS apps to Windows just got a lot easier due to the Code , i am pretty damn sure windows fanboys must have skipped a heartbeat after that announcement, put forth it was a developer's keynote. 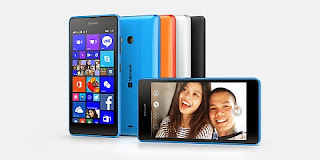 So after raising nerves of all windows fans out there, Microsoft today announced Lumia 540 dual sim for the Middle East, Africa, and Asia Pacific markets. It comes with a 5-inch HD display (1280 x 720, 16:9 aspect ratio) having 294 PPI, has a 1.2 GHz quad-core Qualcomm Snapdragon 200 chipset at cortex A7 cores coupled with 1GB Ram, has 8GB internal storage tossing in expansion to upto 128GB via micro SD card slot, has an 8 MP auto focus camera with LED flash & 5 MP wide-angle camera Front facing camera, has dual sim support supporting 3g bands, it comes with Windows Phone 8.1 with Lumia Denim on board, with a guaranteed update to Windows 10 and lastly it has an 2200 mAh removable battery. However It's quite strange to believe that Microsoft is still sticking with lower end CPU's with cortex A7 cores, with the competition moving on to cortex A53 cores considering a budget oriented smartphone. I mean Snapdragon 200, seriously ? The device is priced at about Rs.10,199 (160 $ approx),with the recent announcement of Yuphoria by Yu televentures which has even better specs than lumia 540 and is priced much lower at Rs.6,999 ( 110 $ approx) which truly is a bad thing, it's hard to believe whether Microsoft would do well with this device, well only time can let us know ! Also see : Google IO 2015, next big thing for Android !